The Feb 16 Pitch & Demo day got a great success after Silicon Valley Entrepreneurs & Startups updated Startup of Month Pitching Rules, involving the judges to select presenters. This event had 700+ people registered, and welcomed the most attendees ever. ReferralMD, founded by Jonathan Govette, won the Startup of Feb, followed by other two runners: Parkitmarkit & Yonyx. SVEntrepreneurs’s goal is to help winner to receive investment in three to six month time frame. His company and personal profile are included bellow. If you are an investor, check this shining earlier stage startup out. Then let me introduce the Startup of Month Feb: referralMD, and two runners: Parkitmarkit & Yonyx. ReferralMD is automated referral management and analytics platform that helps providers build a reliable and sustainable institutionalized specialty network. We offer care providers an affordable way to exchange, manage, and track (referrals, authorizations, and progress updates) while providing powerful analytics to track trends, leakage, and participation. With more than 15 years of experience, Jonathan Govette is the co-founder and Chief Executive Officer of referralMD, a platform for primary care and specialist providers to manage their referral sources online vs. the current paper-based system. 100,000’s of thousands of people die each year due to administrative errors and upwards of 60 percent of patients do not receive the care they need due to lost or misplaced paper referrals costing providers billions to manage each year. Govette is responsible for leading all aspects of referralMD, including developing key relationships with healthcare organizations, online positioning, branding, product design, and team development. Prior to referralMD, Jonathan has sold innovative products and professional services in the enterprise online and print marketing / web development / software space. Jonathan holds a B.S. in Entrepreneurial Finance from California Polytechnic University San Luis Obispo. .First and foremost, you should have an excellent eye for design. You should know great web UI when you see it, and be able to explain why it’s great (even if you didn’t create it!). .You should have at least a working knowledge of XHTML/CSS. If you can cut up your own comps, so much the better. .Of course, we’re looking for self-starters – candidates who can jump in quickly without a lot of direction, and learn by asking the right questions. .Finally, you should have a solid portfolio of web application design. We want to see that you’ve built great web interfaces before, not just great websites. .Wants to fix healthcare communication. The judges also selected two runners. Parkit Markit, LLC is a company in the mobile financial space. Its signature product, Smorecard, allows users to optimize their credit card use. Smorecard maintains a current database of credit card information and delivers recommendations to the user based on location and other data points via mobile apps. For instance, a user may have a credit card that offers 2% on gas, another that offers bonus frequent flier miles on groceries, and another that has several rewards that rotate periodically. Without requiring personal credit card information, Smorecard provides the user a recommendation on what card is the best to use at the moment of purchase. Smorecard saves its users money each time they use the app. Parkit Markit consists of co-founders, Senthil Palaniappan and Raj Kuppuswami, and a dedicated, skilled team of software developers. – He is a Founder, President & CEO of Sennovate Inc, a US based firm since 2007. – Has over 18 years of experience in Database and Infrastructure solutions and consulted with numerous Fortune 500 companies. – Has served as Solutions Architect and implemented several mission-critical database systems using Oracle, Microsoft, Sun, IBM, HP, EMC and other leading technologies. – Holds M.B.A. From DeVry University, USA. Raj Kuppuswami, is Co-founder and Chief Operating Officer. He holds a B.S. in electrical engineering from the University of Illinois and M.D. degree from Stanford University. Parkit Markit, LLC is looking for advisers and investment to further implement its business plan. Sales Executive/Intern: Looking for a dynamic intern who is not afraid of making calls to the various corporates and setting up meetings with the higher level executives and following up/ coordinating with the sales process. Requirements are as follows. ·Person should be local to SFO bay area. Yonyx takes a whole new approach to web-based Customer self-service. Yonyx provides a platform for Subject Matter Experts in Organizations to express their knowledge in the form of multimedia flowcharts. Each flowchart starts from a common Symptom Customers may experience (e.g. Performance Issues etc.) and interactively guides customers to one of the many underlying problems that may cause the Symptom and suggests corresponding solution. Based on a proprietary implementation of multi-relational directed graph, Yonyx platform enables Organizations to convert unstructured interactions between their Customers and Call Centre Agents into structured self-service traversals by Customers. This helps substantially cut costs of providing service for the Organizations while improving the quality of service received by Customers. Due to its automated nature, the solutions provides a scalable, 24×7 solution for customer self-service. Sanjay is the CEO and co-founder of Yonyx. 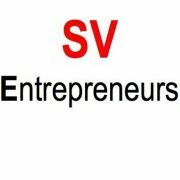 An entrepreneur at heart, he is a Silicon Valley veteran with nearly 25 years of experience in various technology firms including NeXT, Synopsys, Rolm, and multiple start ups including Vianeta, interHDL & Silicon Architects which led to successful exits. A problem solver & team builder, with a unique gift of “common sense”, Sanjay focuses on product, sales, investment & team building. Sanjay holds an MSEE degree from California Institute of Technology (Caltech), & a B.Tech degree in Electronics & Electrical Communications Engineering (ECE) from Indian Institute of Technology (IIT) Kharagpur. Excellent beat ! I wish to apprentice at the same time as you amend your web site, how could i subscribe for a weblog web site?